Cinema advertising in India offers-uninterrupted, positive and receptive state of mind of the affluent captive audience, precision targeting, and limitless innovative possibilities. Showcase your brands in a larger than life format! Cinema advertising in India offer the perfect platform, both on and off-screen to be innovative in conversing with your target. You can portray your brand’s USP on the large screen, include eye-catching promotional material at the ticket counter, provide sampling options at the snack counters, rest-rooms, lounge area, have interactive zones to engage your audience – the opportunities are endless! Theatre advertising provides larger than the life audio visual display. Theatre advertising is equipped with world class sound system. Cinema advertising provides a captive target audience to brand. Cinema advertising mixed with TV campaigns are more effective. Adding Theatre advertising into media plan increases effective reach. Marketers can eliminate media spend wastage by localized advertising in theatre. Theatre advertising is the most uncluttered medium to advertise. Theatre advertising is very cost effective in long term investment. Theatre advertising in India increases brand & message recall very effectively. Onscreen theatre ads are still the most preferred among brands. 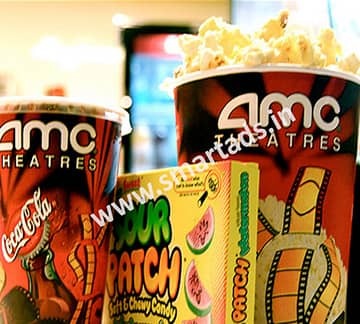 Multiplex advertising acts as a value for money. Cinema advertising is a medium offering advertisers the opportunity to reach their target consumers in a captive, distraction-free environment. Multiplex advertising is becoming a more essential, strategic part of the media plan. Multiplex advertising offers high levels of transparency. Multiplex advertising helps to customize your message to your target audience such as different language commercial can be played in different states as per the requirement. Multiplex advertising have no logistic hassles. Cinema hall advertising grant you the option to pick and choose your audiences on the basis of the location of the theatre, movie genre, language, show timings, etc. Cinema hall advertising is the medium most viable for marketers. 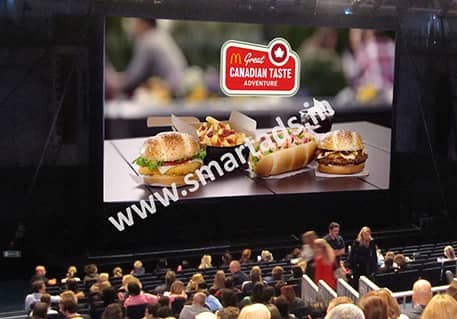 Some of the examples of Cinema advertising are Signage at entrance, ticket counter, Standees, Seat branding, Cut-outs, Flyers and pamphlets, Branding in elevators, washrooms, snack counters, Kiosk activation & product sampling. Brands are now beginning to opt for quarterly, semi-annual and annual deals. Currently, 50% of brands opt for the annual deals. Annual deals give companies the chance to use advertising space for different products at different points of time.